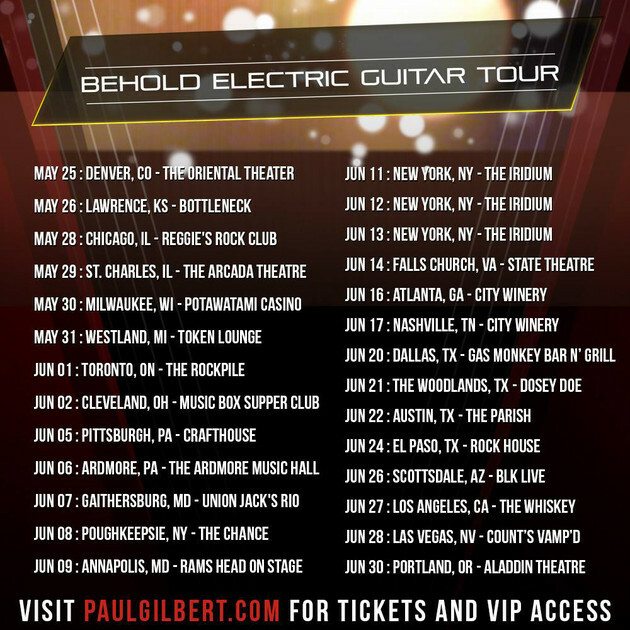 Paul Gilbert' Mr.Big and Racer X guitarist, is ready to be on the road in support of "Behold Electric Guitar" this May and June. His new album will be released on May 17th on cd/vinyl and digital. 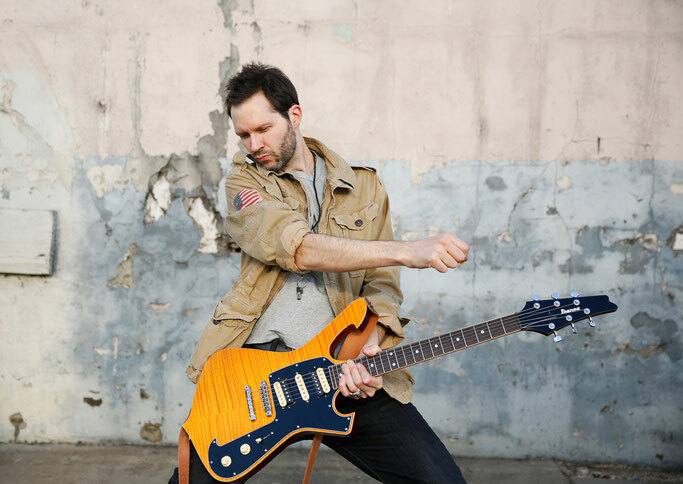 Paul Gilbert's newest album features 12 new original songs, all with Paul's most expressive, and inspired guitar playing to date. 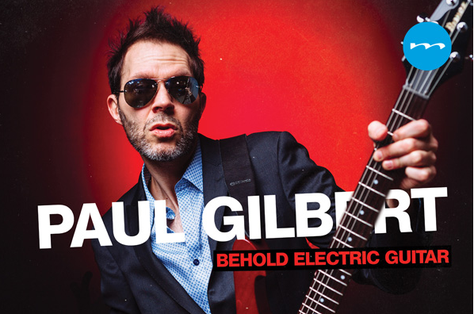 "Behold Electric Guitar" was produced by legendary producer and engineer John Cuniberti (Joe Satriani) and features Roland Guerin on bass, Asher Fulero on keyboards and Bill Ray, Reinhardt Melz and Brian Foxworth on drums. Although the album is mostly instrumental, Paul starts writing each song by writing the lyrics, and then transform those lyrics to melodies on the guitar. Paul's unused lyrics not only gave him a creative spark for the music but also yielded some interesting song titles. "Sir You Need to Calm Down", "I Own a Building", "Let That Battery Die", and "A Snake Just Bit My Toe" can certainly pique the curiosity of the listener. The exception to Paul's instrumental guitar theme is his poem, "A Herd of Turtles", Paul opted for his best Liverpudlian accent to recite his poem of hope, and inserted some ferocious funk riffs for musical contrast in between.